Amid various concerns that the Iraq’s parliamentary elections of 30 September 2018 would deepen the social and political crisis in the northern Iraqi Kurdistan, the Assyrian Confederation of Europe (ACE) claims that the quota system that reserved parliamentary seats for the Assyrians and Yazidis was hijacked by larger Kurdish political parties. Aimed at allowing those groups to elect their representatives, the quota seats were targeted by the leading Kurdish groups, who have diverted votes to them. In spite of public demonstrations that have asked for the return of the 1992 system of respecting the rights of minorities, the Kurdish Regional Government (KRG) has so far failed to address the matter. This has reached a brazen level where the interference is discussed openly in the Kurdish media by these larger Kurdish groups, who boast about having "their own Christian groups." Despite multiple requests and public demonstrations to go back to the 1992 system of respecting the rights of the minorities, nothing has been done by the Kurdish Regional Government (KRG) on this matter. 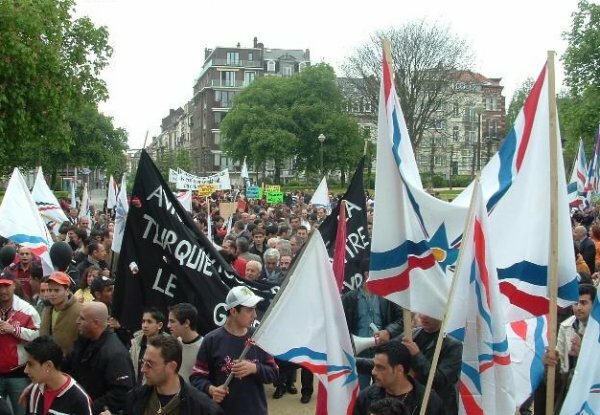 This forced one Assyrian group, the Al-Nahrain List, which has one MP, to boycott the election after parliament failed to amend election laws, which would have stopped the larger parties from targeting the quota seats. ACE is calling on European governmental and non-governmental institutions to voice their concerns and demand that the Iraqi Kurdistan regional government respect the rights of minorities and amend the election law immediately, and are asking that the KRG be held accountable should it fail to do so.